There’s no stamping involved in today’s card – just some fun techniques! 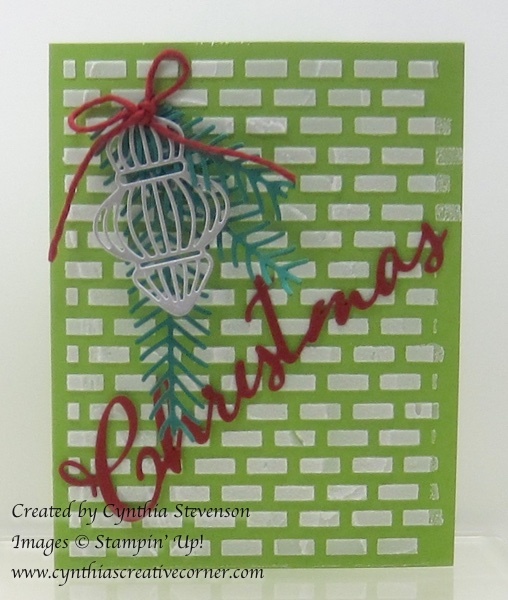 I haven’t used the Embossing paste in quite a while and thought that this brick pattern would work perfectly with that bundle of branches. Adding the ornament from the Detailed Baubles Thinlits dies finished it off nicely. I also like the muted silver tone of the Galvanized Metallic Paper! See all of the products I used below. How are you doing with your Christmas crafting? If you need a little inspiration, check out my Class Calendar. There’s still time to get some stamping done!